In the last few months I have really begin to understand what it means to walk in my own purpose. It started with a small idea, and is growing into this much larger vision for the future. I want to encourage all of my Dreamers to follow your dreams and to walk in your own purpose with a goal to have a life worth living. Building a dream is not easy work. If you ask anyone who has had a vision and have achieved it you know that it did not happen overnight and that it took a lot of hard work and dedication to reach where they are today. 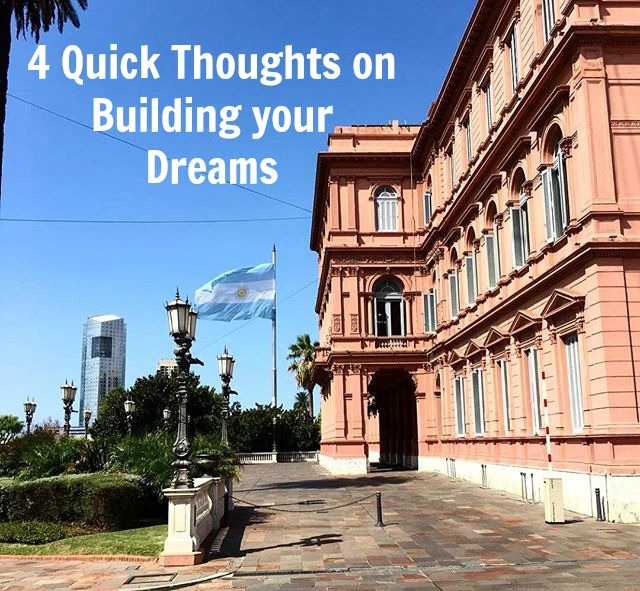 With all that being said here are 4 thoughts on how to build your dreams into a reality and creating your own life worth living. As cliché or as simple as it sounds the first thing you need to build a dream is to believe your dream is valid. Since we were kids, or at least teenagers we have heard people tell us to be realistic and that unless your dream is to have a 9-5 with benefits your dreams are just wishful thinking. I am sure there are millions of people out there who have had brilliant ideas for businesses or their lives in generally who decided that the “realistic” route should be the road they travel, but I am telling you right now that if you have a vision for your life…believe in it! You may have a vision that will lead you in a direction to change the world, or at least the immediate world around you. Don’t be selfish, believe in your dream and change the world! Once you believe in what you see for yourself, what you envision for your future, you have to prepare for it. 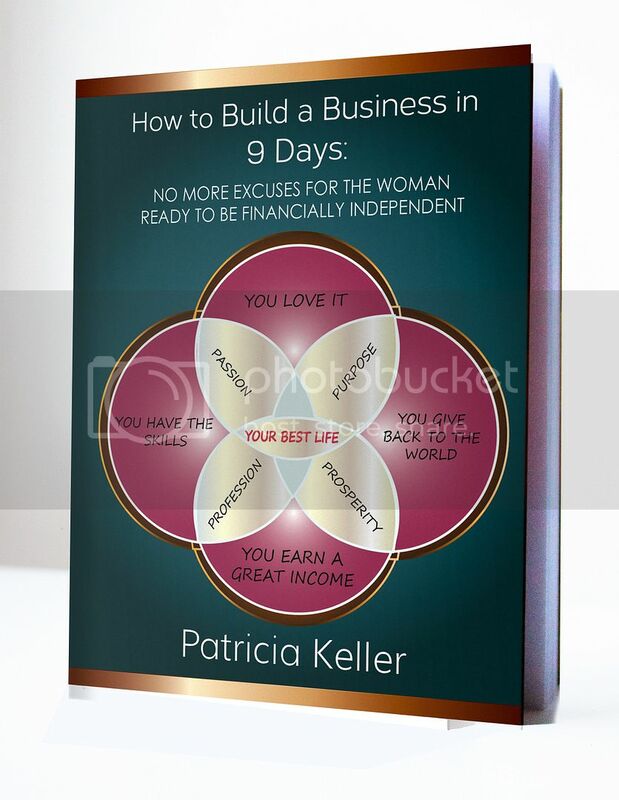 Begin studying what it will take to propel you into your vision. You may have a vision to start a local youth program, begin finding groups and resources that support youth. If your vision is to start your own company, talk to local business owners or research what it takes to open a business. Putting in the work to understand whatever it is you want to do is a key to not only living your dream, but also being a success once your dream becomes a reality. Absorb all the knowledge you can that will enrich your ability to live your dream. Learning is great and necessary, but dream building is also about the team you create to make it happen. Your team should consist of like-minded individuals who are ready to succeed in the same ways you are. Building a network of people that can help you reach your goal is essential because you don’t know everything and no one expects you to be able to do everything alone. If you want to start a business but lack accounting skills add someone to your team who has the needed skills to assist you. In return there will come a day when you may be able to assist them in some way. Don’t be afraid to network and meet new people. You never know who may greatly impact your life and help your dreams flourish. Last but most important, for a dream to become reality you have to stop just talking and thinking about it and just get started. You do not have to know every single thing there is to know, you just have to have a willingness to learn and grow as you go through each step. Actions will forever and always speak louder than words, and once you put your dreams into motion the universe will direct you in the way that will create your own personal life worth living. Remember that your dreams are valid and your willingness to achieve them is all it takes to make things happen. You are capable of achieving your dreams or God would not have given you the vision to see them.